Meatballs are a staple in most households. You can use them to top your favorite pasta, make meatball sub sandwiches, or stick a toothpick in them and serve as an appetizer with dips. 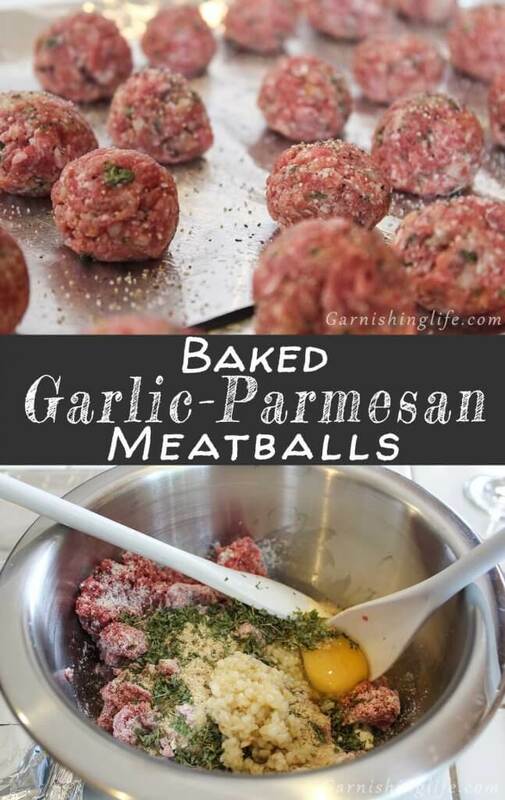 Whichever way you like to eat your meatballs, these Baked Garlic-Parmesan Meatballs are the recipe you want! They are nice and crisp on the outside, so they won’t crumble and full of flavor! So let’s get started! See that special ingredient? Yeah… the wine glass? 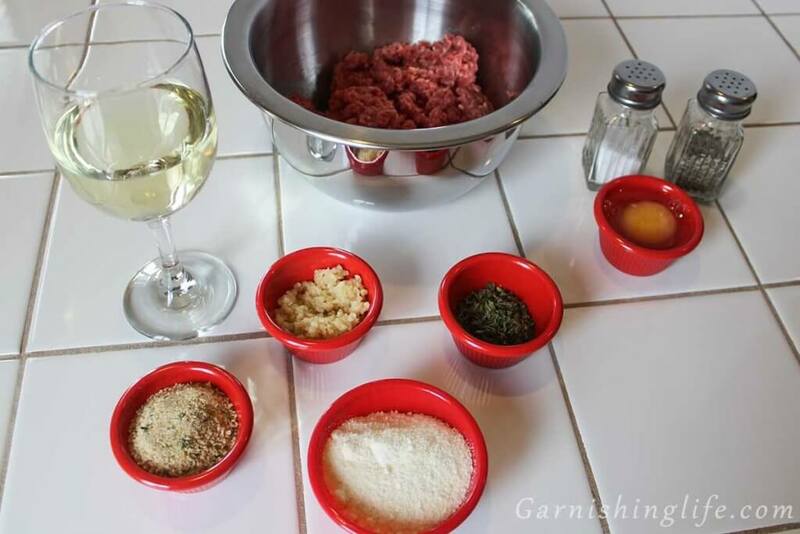 That’s just for me… It doesn’t go in the meatballs, but baking meatballs and drinking wine just goes hand in hand for me. And most Italian dishes. It just feels right! So after you pour yourself a glass, go ahead and preheat your oven to 375°. I prefer as little clean up as possible, so I like to prepare my baking sheet by covering with aluminum foil and spraying with cooking spray. 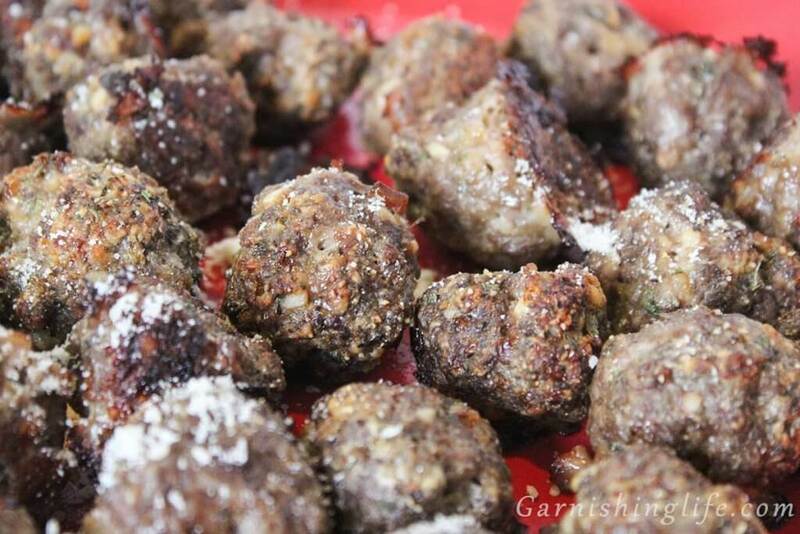 This will ensure your meatballs don’t stick, and clean up is just throw away. In a large bowl, toss all of the ingredients into a bowl! 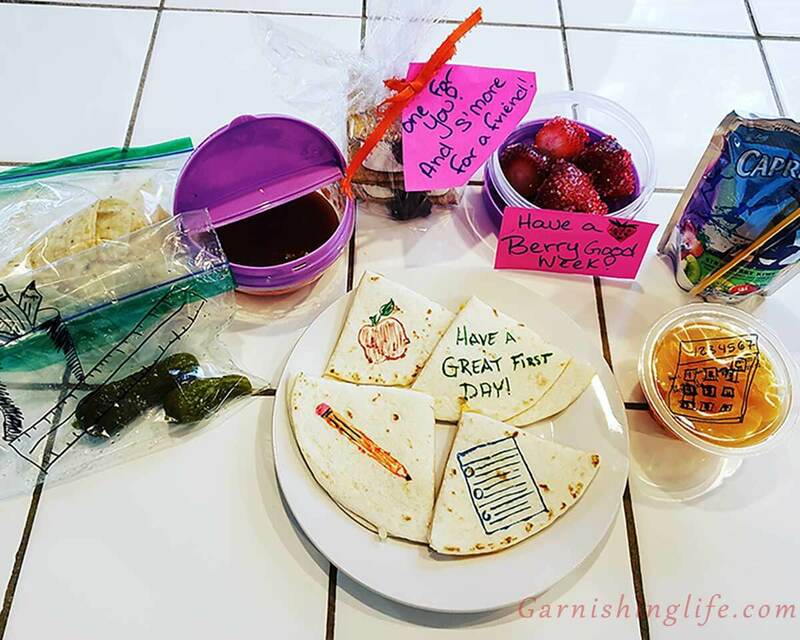 I love dump recipes. They are THE BEST. Mix it all up until nice and evenly distributed. You can get your hands in there, or if you’re squeamish like I am, use a couple spoons to really mix it up. 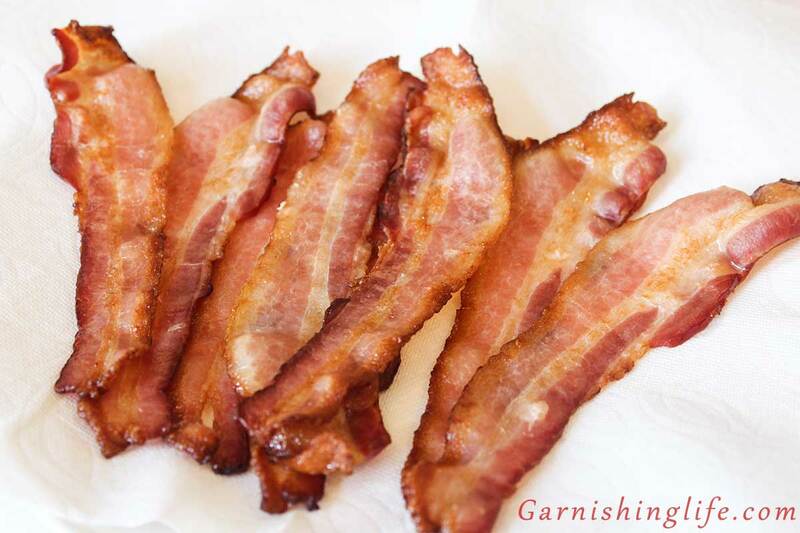 I actually manage to make this recipe without touching the meat. I’m like a wizard! 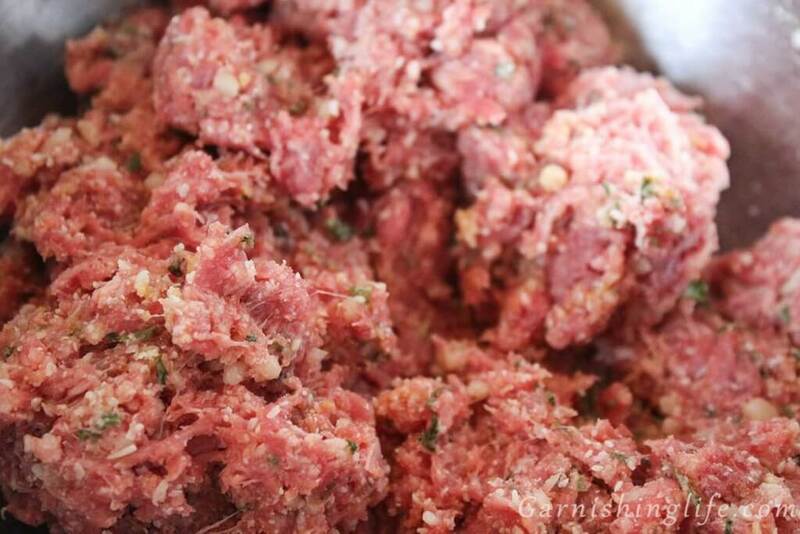 Then I will use a tablespoon to scoop up some meat, and roll it into a ball. Again, you can just cup it in your hand and firmly pack into a ball or be squeamish like I am! My trick is to use a measuring spoon, scoop into the meat, then I use a normal spoon to tap it around the meat and push into the measuring spoon. This will pack and form it. If you want more info, let me know! I’ll be happy to demonstrate! 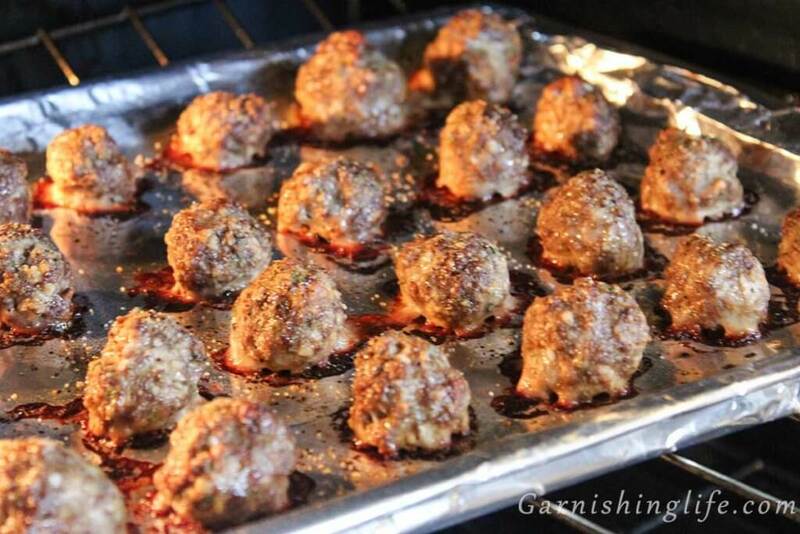 Line all meatballs onto your greased baking sheet, with just a bit of space between them. I try not to let them touch so it bakes more evenly and doesn’t get stuck. I’ll also sprinkle a little extra seasonings on top. Bake for 20 minutes. Remove and let cool for a few minutes, but not too long! No one wants cold meatballs. Garnish with fresh chopped parsley and parmesan. Then top your favorite pasta, make a sub sandwich, or whatever your heart desires! Prepare a baking sheet by covering with aluminum foil and spraying with cooking spray. 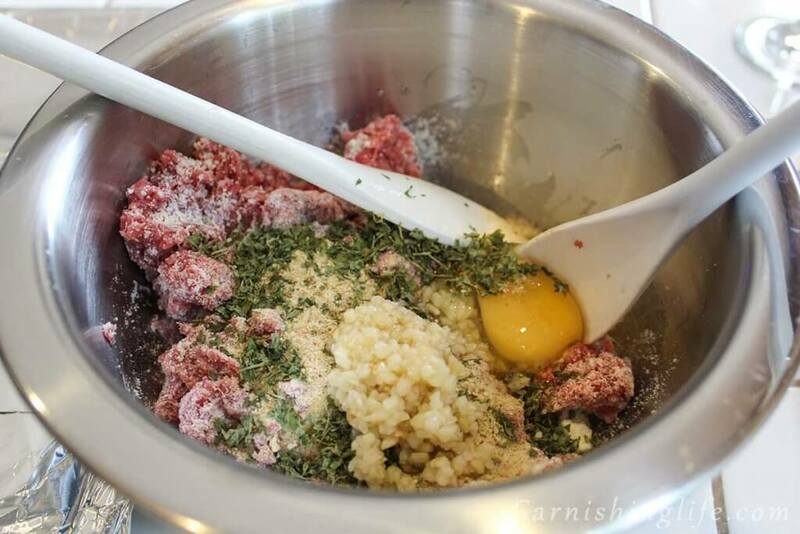 Mix all ingredients in a large bowl with a spoon or your hands. Scoop 1 Tablespoon-worth of the mixture and roll into a ball. 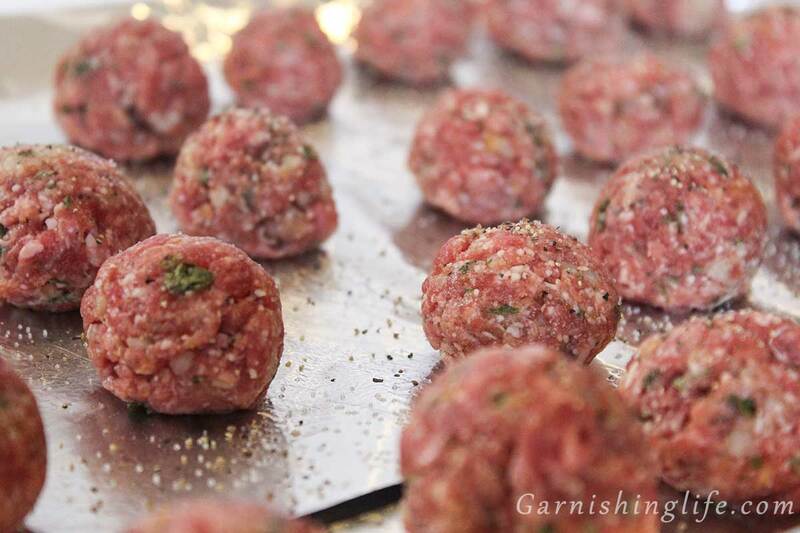 Garnish with fresh chopped parsley and parmesan. 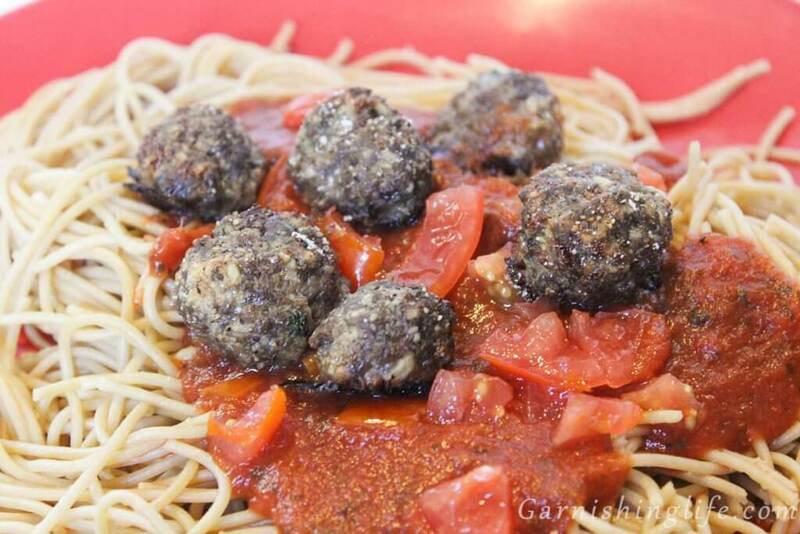 To have meatballs at the ready, anytime - Make a batch of meatballs, allow to fully cool and then separate into several freezer-Ziploc bags. Freeze for up to 1 month. To reheat, microwave for 1 minute. I am squeamish and try my best not to touch the meat, so if you are the same: use a measuring spoon, scoop into the meat, then use a normal spoon to tap it around the meat and push into the measuring spoon. Do this several times scooping the meat in and out of the measuring cup, using a normal spoon. This will pack and form it.